Who is Ann Louie Li? 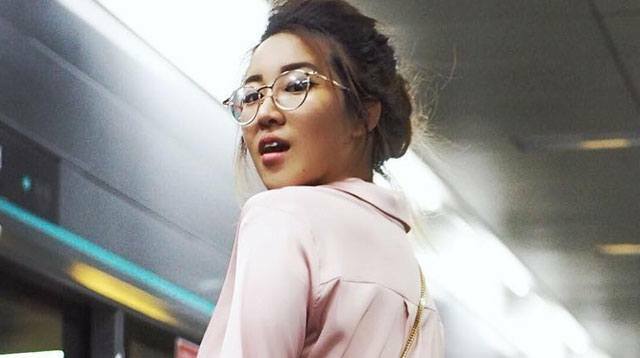 22-year-old Ann Li is more than just a fashion influencer. At 22, Ann Louie Li already has two companies under her personal brand. Though she still attends events and networks as a fashion influencer, Ann is also dipping her toes into the jewelry market with Chrysogem—a wholesale distrubution company of chrysocolla. Cosmo.ph briefly interviewed Ann at the second annual Forbes Under 30 Summit Asia held at Solaire Resort on July 25, 2017. Chrysogem is derived from the word “chrysocolla,” which translates to “Taiwan’s gem.” My relatives have been in the business of mining chrysocolla for years now, but I’m more interested in building the brand in the fashion industry. Chrysocolla is actually starting to get a lot of international recognition. Right now, I’m handling clients around Europe and convincing them to include chrysocolla in their next collections. Why are you focusing on Europe? In general, chrysocolla is already well-known across Asia. It’s still not as popular as ruby, of course. And other people actually see chrysocolla for the first time and think it’s a jade stone, but I’m [targeting the European market] because it’s a completely new territory for the stone. I attend a lot of meetings. It’s funny because my roles as an influencer and as a businesswoman overlap a lot, especially because I’m working with gem stones. I consider that an advantage, because I meet a lot of people from similar companies who work in different departments. Do you struggle with being taken seriously as a businesswoman?